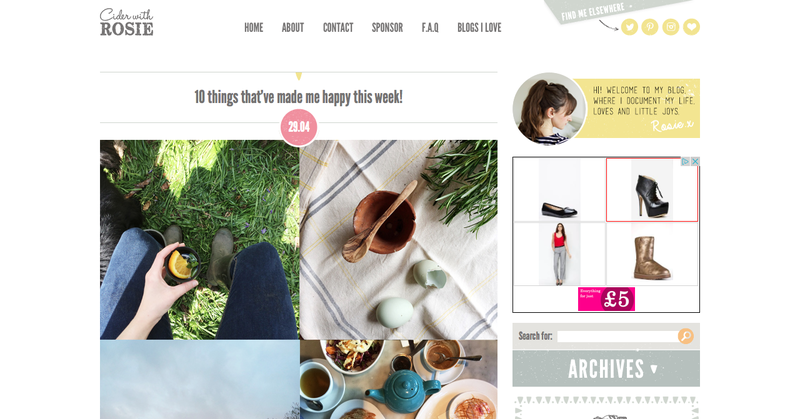 This month I thought I'd change it up a bit and do a roundup of my favourite blogs over the course of April instead of my usual roundup of posts, pins and other things around the internet that I've loved! I don't often give a shout out to the blogs that I read on a regular basis or the bloggers that always crack me up on Twitter so it makes a nice change to dedicate a post to them. 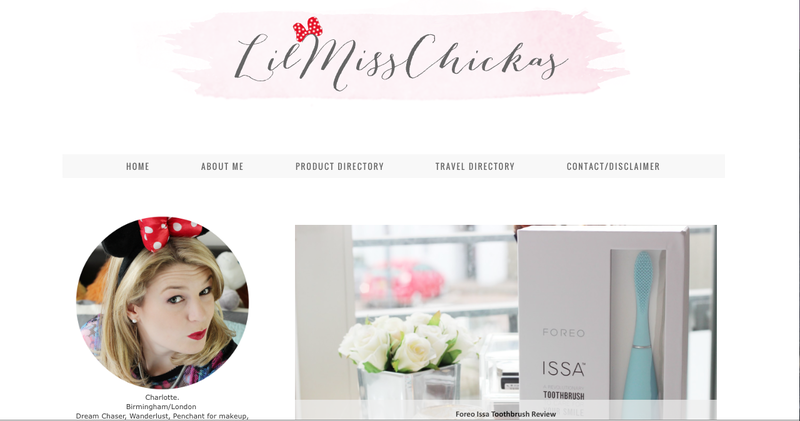 I've got five blogs to introduce you to if you're not already reading them however if you are already a fan you can nod your head in agreement and we can bond over them later! 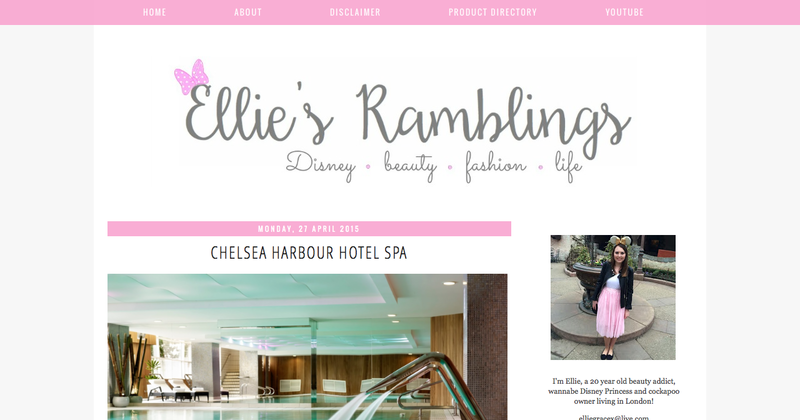 Ellie from Ellie's Ramblings is just the sweetest. 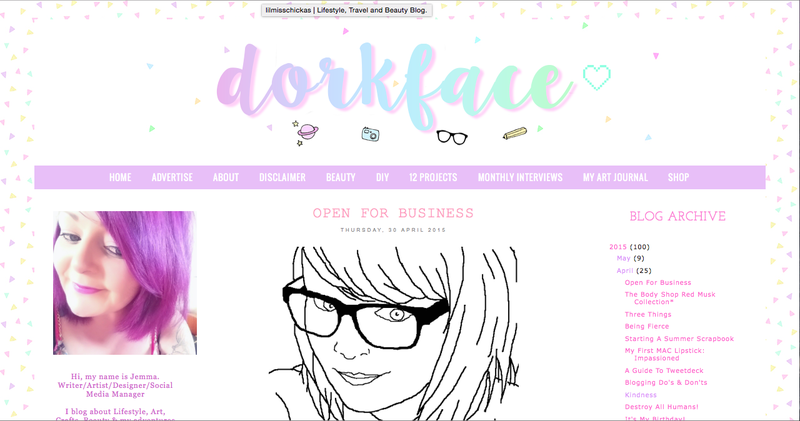 She blogs lots beauty reviews and the odd lifestyle post but I mostly follow her because she is a Disney addict like me! Last month she took a trip to Disneyland Paris and I have been hooked on her weekly vlogs ever since. From her Disney Primark hauls to the Disney Tag, Ellie always has the latest Disney news and she's even started to film trip planning videos for anyone who is planning a trip to Disney World too. Charlotte from Lil Miss Chickas is just lovely. She also loves Disney (watch her and Ellie in a collab video on YouTube for lots of Disney World tips for first timers) but her blog is much more lifestyle and beauty based. After watching some of her vlogs I now read all her posts in her Brummy accent which is amazing and I really enjoy the way she writes, it's like chatting with a friend. Her recent posts include restaurant reviews, happy lists, gym inspo and Disney World tips to name but a few - she really is a girl after my own heart! One of the reasons I love Dorkface is because it is written by the Jemma who by chance has the same name as me which automatically means she's awesome! I love that she is so creative and that she shares her creations with us, from her art journals to paintings and DIY she always inspires me to do more creatively. I actually find her inspirational in a lot of ways. Recently she wrote about how starting her blog a year ago has brought about so many positive changes in her life and she strongly advocates being positive and working through dark times. 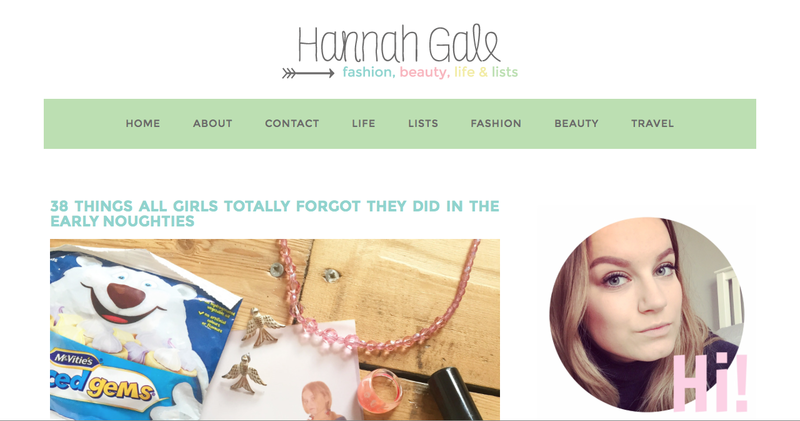 Hannah's blog is only a recent find of mine but I have absolutely fallen in love with her! The way she writes is so frank and honest it's so refreshing to read and slightly bewildering at the same time. I've really enjoyed reading her travel posts, she's such a lucky girl to be visiting different places at home and abroad so often, but every thing she writes is pretty on point too. I'm sure she could write about anything and I would read it as I can't get enough of her opinion or her wit. Reading Rosie's blog gives me major life envy. She writes amazingly well, her photography is always stunning, she posts delicious sounding recipes and she gives great tips for days out. For some reason reading Cider with Rosie is so calming, I think it's because she lives in the countryside (well what seems like the country to me anyway!) and she often writes about walking her dog and taking photos in the forest. I can't explain it but it's peaceful, homely and always a pleasure to read. That's about it for this months roundup. Make sure to let me know if you're a fan of any of these ladies or if you think you may be after reading my recommendations!